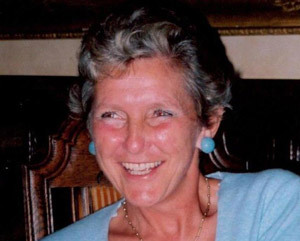 Kate’s Trust is a charity that aims to help cancer sufferers and those close to them understand the threats lying ahead on their ‘cancer journey’. We aim to help them cope with the incredible emotional strain that they will experience along the way. 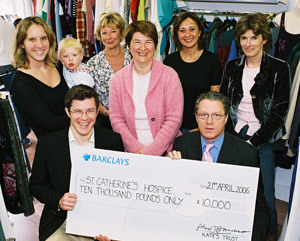 Founded in memory of Kate Hackett, who sadly died of cancer on 10th November 2003, Kate’s Trust raises money for local initiatives and services that support cancer sufferers and their families. Projects include anything from supplying new books and board games for oncology units to counselling for the families of cancer sufferers. 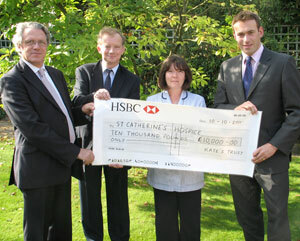 In the last six years, Kate’s Trust has donated over £50,000 to St Catherine’s Hospice, Crawley, for their community nursing service. This service currently looks after 500 patients at home. If you want to help us with our fundraising, or would simply like some more information, please get in touch. 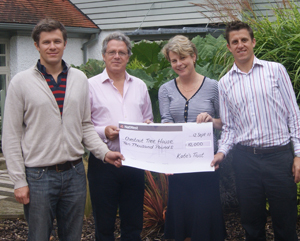 Our most momentous and successful fundraising has been achieved in April by Bob Szechenyi, a long-standing friend of the Hackett family.